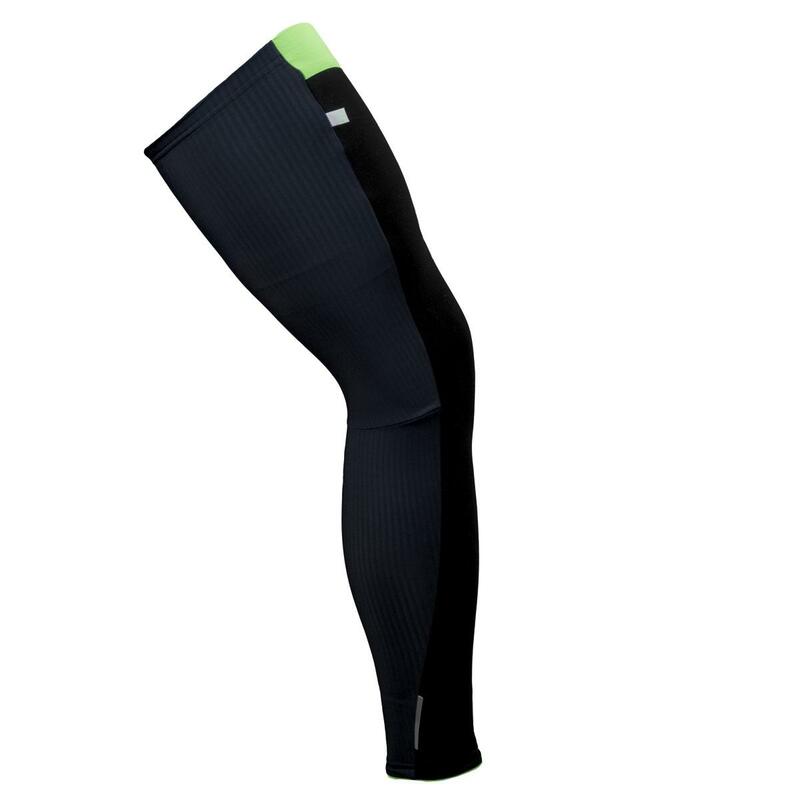 These leg warmers are designed with the same UF Hybrid Shell fabric used in the Long Salopette in the front, most exposed, part of the design. This ribbed insulating material is extremely dense, blocking the passage of air whilst allowing for a lightweight design (53.5g per leg). The fabric has also undergone a treatment for increased water resistance and faster drying times. The rear panels use a soft, flexible polyamide-polyester fleece material with excellent moisture management characteristics. 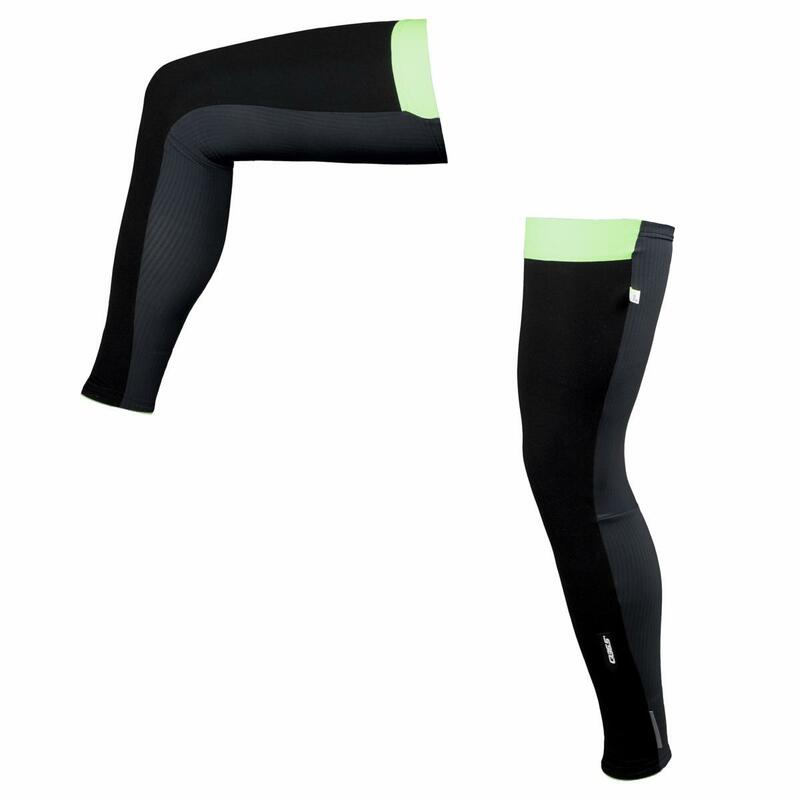 When the rider first uses the leg warmer he or she will notice that the upper end has been cut diagonally, finishing slightly higher on the outer side of thigh and lower on the inner side, to avoid creating a tourniquet effect on the muscles and allow for the best circulation, as well as offering more complete thermal protection to the outer, most-exposed, part of the thigh. The fit is extremely ergonomic and snug thanks to the elasticity of the UF Hybrid Shell fabric and Q36.5's 'pre-shaped' multi-paneled cut. Both the top and bottom of the leg warmers are finished with the same treated polyamide-elastane gripper used in the Salopette L1 Essential to ensure they stay in place.